When you add a new furry member to your family, it can be a tremendously exciting time. But even if your pooch is well-adjusted and happy, it’s easy to wonder whether they miss their mom, or their brothers and sisters. Do dogs remember their siblings? Would your pooch recognize his brothers or sisters on the street? The truth is, no one really knows, at least, not for sure. But many researchers, dog experts, and owners have theories that they do – depending on certain circumstances. Wolves are known for their incredibly complex social structure that’s built around the extended family, or pack.2 Just like humans, wolves have a head of their canine family, and this leader must be obeyed in order to keep the family safe. Part of being in a “pack,” or a family, is being able to recognize other family members as your kin. You can think of this as an inbuilt mechanism of DNA. For example, a mother needs to be able to recognize her wolf pup, and a pup needs to know which wolf is his mother. It’s a pure survival instinct that keeps the cycle of life going. But some people would argue that domestic dogs have become so far removed from their ancient ancestor that they’ve lost their “pack” instinct, having no need for such recognition of family. Do Dogs Remember Their Siblings? This question was first posed by a study at The University of Belfast in Ireland – a very thorough project that involved a number of dog litters. The first set of tests began when the puppies were just a few weeks old. 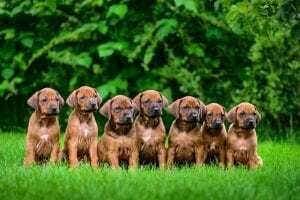 First, researchers tested whether a puppy could distinguish between its real mother and a dog of the same age and breed placed in the same enclosure. What did they discover? Eighty-four percent of the puppies showed a preference for their own mom. They then did the same experiment with the puppies’ siblings, mixed in with other puppies of the same age and breed. The test puppies showed a preference for their own siblings 67 percent of the time. Understandably, the puppies showed a stronger result towards their mom than their siblings. Whether this indicates if dogs remember their siblings isn’t clear, but they do seem to prefer their litter mates. 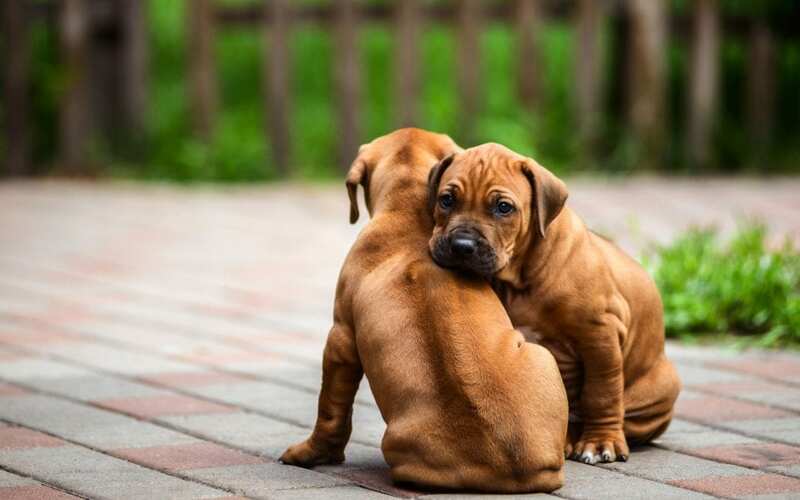 Whether this indicates if dogs remember their siblings isn’t clear, but they do seem to prefer their litter mates. Do Adult Dogs Remember Their Kin? Now the Belfast researchers above knew they had to look at this project much more long-term for even better results. And so, they sought out a new set of dogs that were already around 2 years of age, – and where they could have access to their original littermates. The dogs had been separated from their mom and their siblings since 8 weeks of age. A cloth with the scent of the original puppy was placed in front of its mother alongside cloths from other 2-year-old pups. Seventy-eight percent of the time, the mother sniffed her own offspring’s cloth the longest. Then, they switched and had the now 2-year old “puppy” try to do the same with the mother’s scent. Seventy-six percent of the dogs were able to identify their mother’s scent, even after a long separation. The results for the siblings were not as successful but still incredibly interesting. It appeared that siblings could only recognize one another if they still lived with a sibling. Those dogs who lived on their own could no longer recognize their siblings – by smell, at least. One of the reasons people wonder whether dogs can truly recognize siblings (or their parents) is because they are concerned about mating. 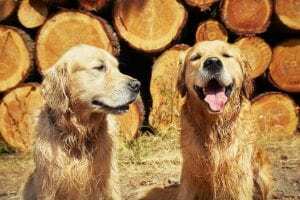 Do dogs remember their siblings when it comes to choosing a mating partner? Surely, they can’t if they’re willing to mate with them, right? Though inbreeding is never encouraged because of the risk of genetic abnormalities, it can happen naturally if a dog is in heat and their only option is a family member.5 But this doesn’t imply that a dog doesn’t recognize their kin. There is no taboo in the dog kingdom. Anyone who has been around a dog in heat knows that there really is no stopping that mating instinct. The University of Belfast study is, of course, only one study. But it raises some fascinating theories about the concept of the canine family. Do dogs remember their siblings? Until dogs can speak our language, we’ll never know for sure. Whether they do or don’t remember their birth families, the important thing is that they love being a part of your family. ultimatepetnutrition.com is my favorite now, bookmarked!